According to the EOT for Kāne‘ohe, Local (watch) Time runs between 15 and 45 minutes ahead of Apparent Solar (sundial) time —depending upon the day of the year. 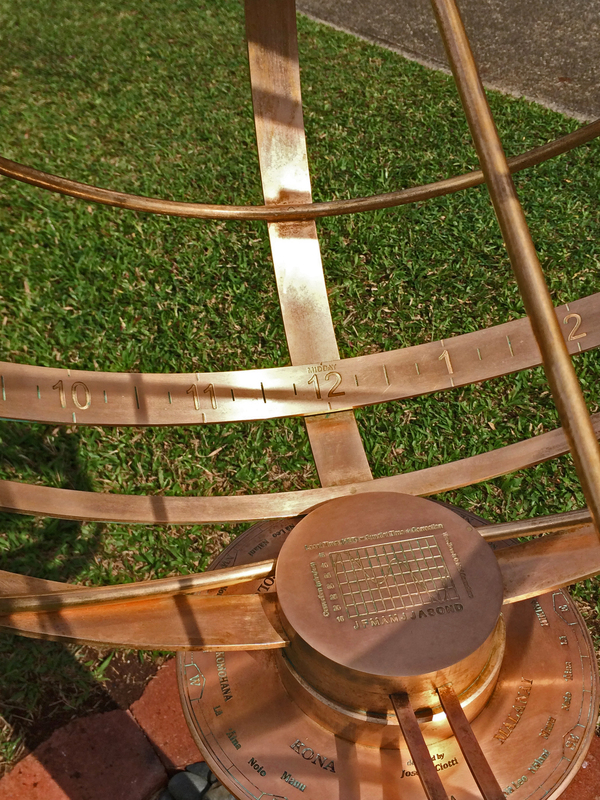 This is the correction that must be added to the time displayed on the sundial in order to synchronize it to HST — the local time in Hawai‘i. . Officially, the time zone for Hawai‘i is GMT = -10, which means that Hawai‘i is 10 hours behind GMT (that is, HST = GMT -10). Note that Hawai‘i does not observe Daylight Saving Time. The Hawaii Time Zone is centered at longitude W 150o — which extends from W 142o 30' to W 157o 30'. At a longitude of W 157o 49', both Honolulu and Kāne‘ohe (on the island O‘ahu) are technically outside this time zone — and inside GMT = -11. This coupled with the seasonal orbital corrections means that Local (watch) Time on Oahu is always ahead of Apparent Solar (sundial) Time. 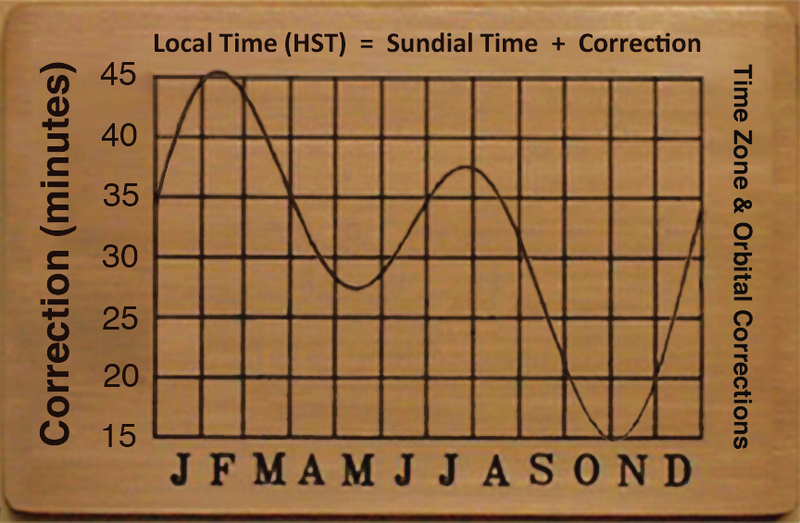 As a result, EOT correction is always positive and thus always added to the sundial time. For this reason, Hawaii does not observe on Daylight Saving Time, since it effectively is on perpetual daylight saving time — where the clocks on O‘ahu run 15 to 45 minutes ahead of Apparent Solar Time. The two photos below were taken on February 1. What is the correction, sundial time and watch time? 2. 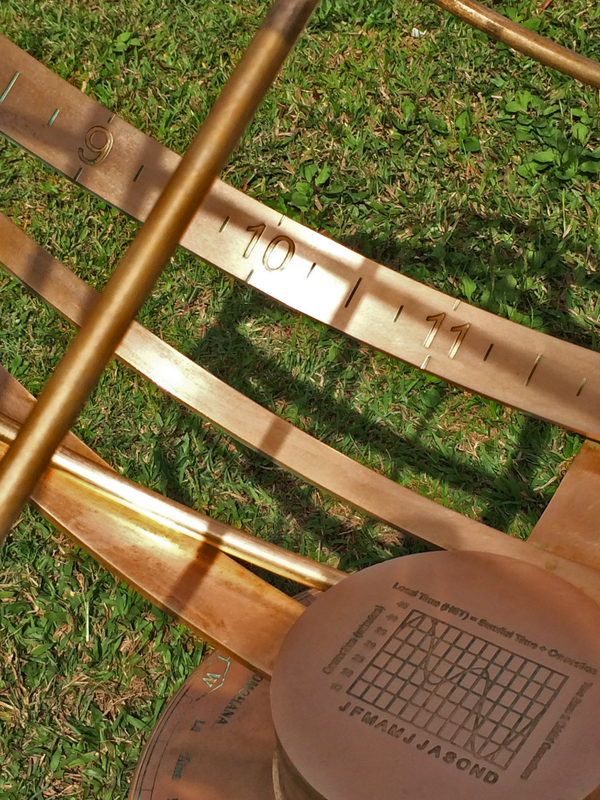 Apparent Solar Time (sundial time): According to the gnomon's shadow, it was 10:30 am — actual sun time.